In stock 144 items in stock. 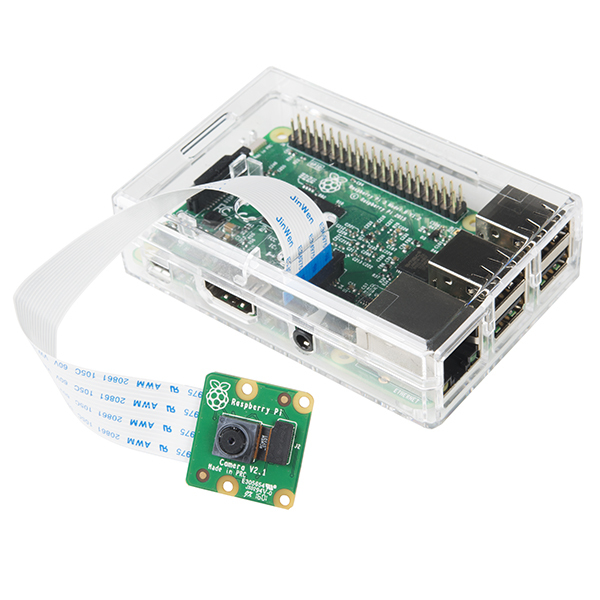 Does the v2 camera work with old piâs? I have some really old original B versions (cpuinfo 0x000e.) a list would be helpful in the product description. Can this camera work with systems other than a Rasberry Pi, specifically a Samsung ARTIK? Does it captures infrared? Can the IR filter be removed? How does it works in this particular matter? Thanks a lot! The IR filter is not removable without seriously risking the camera (I don't recommend trying), but in its unmodified form certainly does'nt capture much IR light, since it has very poor "vision" in low light conditions. 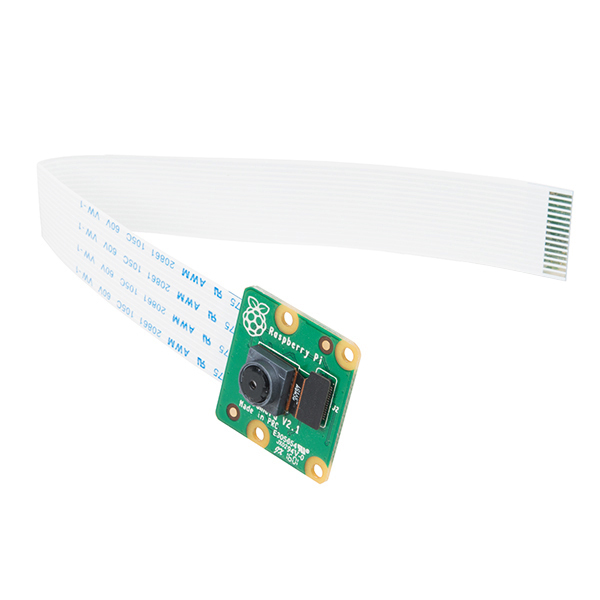 What is the angular resolution or angular view this camera module? That's not info Sony can provide because it depends on the lens put in front of the chip. You can estimate the angular resolution for your customers by capturing a horizontal or vertical image of a 1 foot ruler at a distance of D >= 10 feet, with the ruler near the center of the image, and then counting the number N of horizontal or vertical pixels taken up by the ruler in the image. The angular resolution near the frame center will then be approximately (1 foot / D feet)*(1000 / N) in units of milliradians per pixel. So if D = 16 feet and N = 250, then we'd have approx 0.25 millirad per pixel near the center of the frame. What is the focal range of the camera? I.e., how close can it be mounted and be in focus? 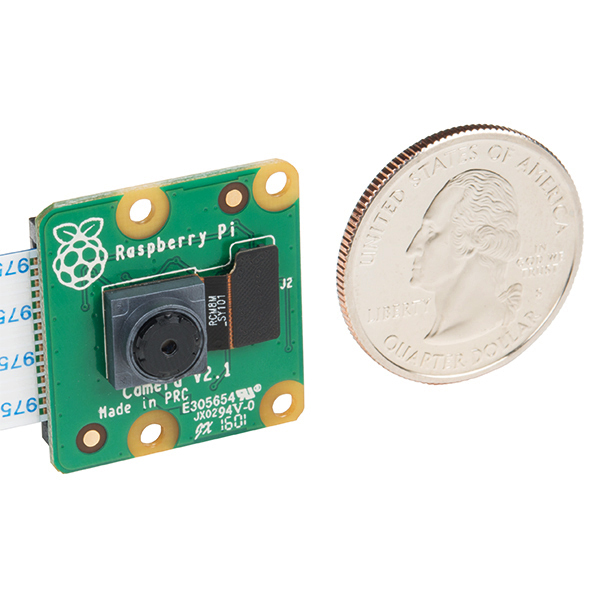 Can this camera be used with Pi Zero? I was looking into that this morning as thanks to Nick I now want to build a camera. From what I can tell as long as the Zero has a camera connector on you should be fine, but not all versions of the Zero have the camera connector. Edit: I bought a Pi Zero. 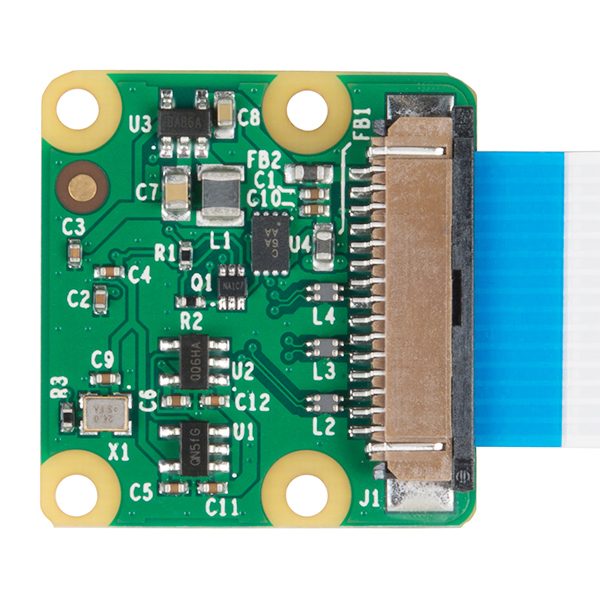 The camera should work fine, but the Pi Zero camera connector is a different size so you will need a special cable to connect the camera. And 15cm cable? Why do these cameras always come with such a small useless cable? I think every application I've ever used a RPi camera on needed at least a 30cm cable. We can see about getting one up here on the page but for now (while no one is in the office) here is the twitter account Nick talks about in the video showing off some photos. No problems at all. Just tried it once to verify it works, and it does. Simple to hook up. Okay, I didn't do enough homework and my expectations were probably a bit too high. However, my rating would be higher ON SPARKFUN if they had done two things. 1) Include the $0.10 lens focusing tool in the package, and 2) provided some information on this product page about how blind this camera is in the dark. The lens is a fixed focus lens that comes set at some distance. If you don't like where it is set, you need the lens focusing tool, a little plastic ring, to set the focus. Yes you can do it with some needle nose, but it is a pain trying to get them on the lens, not tear it up, keep your hand out of the way, and look at your monitor all at the same time. Probably costs a penny to make the tool. You can see better in the dark than this camera. Don't think the NoIR version is any better, it isn't. So it isn't going to be a survellience camera without a streetlight. Other than my gripes, it is a nice little camera that makes a sweet web cam when paired with the Pi Zero W and the Pi zero case with the camera top. When I ordered this camera I assumed it would come with some sort of "how to" documentation, or at least some reference to where that could be found online. However, there was no trace of documentation in the package and I'm trying to figure out where I can find instructions for hooking this to my Raspberry Pi and get a software download to make it work. HELP! 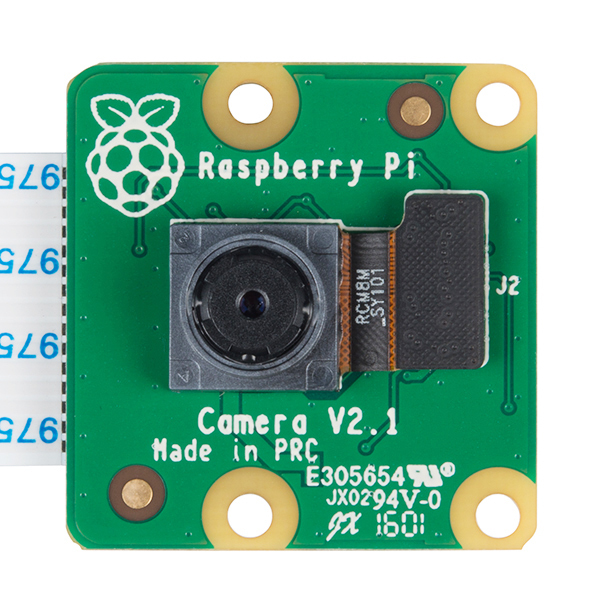 Sorry to hear about the issues with the Pi camera module directions! 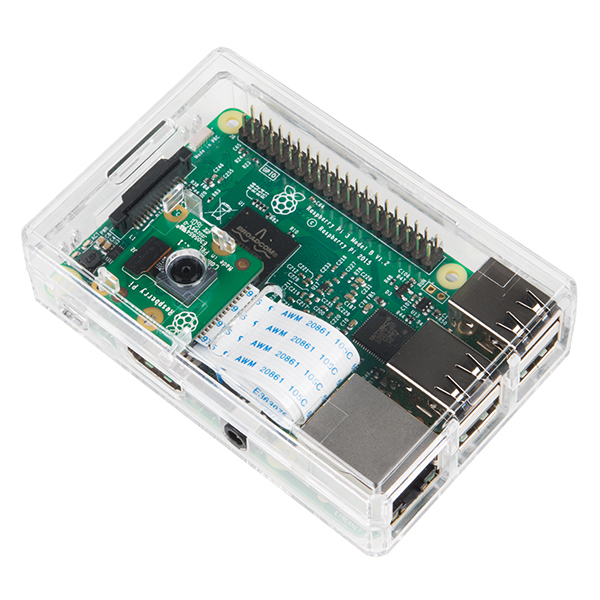 If you're having problems following the instructions here: https://www.raspberrypi.org/learning/getting-started-with-picamera/ you will want to contact our technical support department, @ Techsupport@sparkfun.com - they're usually very good at helping to get people started with devices like these.